Mystery of Gunung Padang mountain - did ancient humans build it? 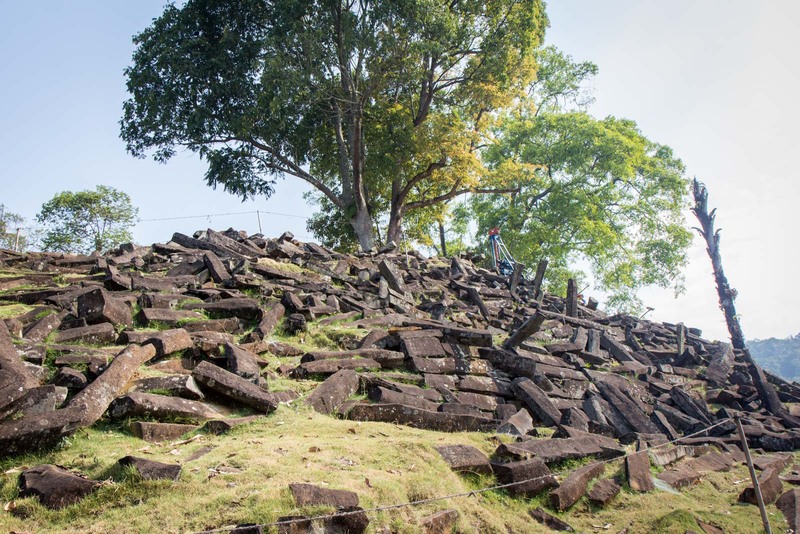 On the Indonesian island of Java, about 120 kilometres away from Jakarta, the answer to a huge mystery is buried in a mountain. Potentially, it could force humanity to rethink our entire history. Is there proof here of an ancient civilisation? One advanced enough to create the greatest ancient wonder of the world, but so old that any record of it was lost thousands of years before the Egyptians even thought about building their first pyramid? The mystery intrigues me and so I hire a driver and set out early one morning to head to this site myself. It’s called Gunung Padang and is far off the tourist trail. From Jakarta, it takes about four hours in a car to get there. Although the distance isn’t so great, the roads get clogged with traffic as we pass through small towns and we’re forced to slow down as we wind through uneven volcanic terrain. The last hour is on an unsurfaced rocky path. It’s hard to imagine what Gunung Padang looks like without seeing it for yourself. Let me try to explain, though. To understand the potential significance – the reason it’s now a focal point for archaeologists – you need to look at it as two parts. The first is what you can see on the surface. The other is the mountain itself… I’ll come to why that’s so important very shortly. It takes about 20 minutes to hike up to the top of Gunung Padang from the carpark, where there’s a small collection of shops. Stairs made out of rocks make the ascent easier and I pass a few Indonesian visitors on their way down. I see no other foreigners for the whole time I’m here. At the top, the building blocks of an ancient construction lie scattered across the grass. They are shaped like long rectangular bricks, maybe about two metres in length on average, and they are heavy. These are not manmade like bricks, though. 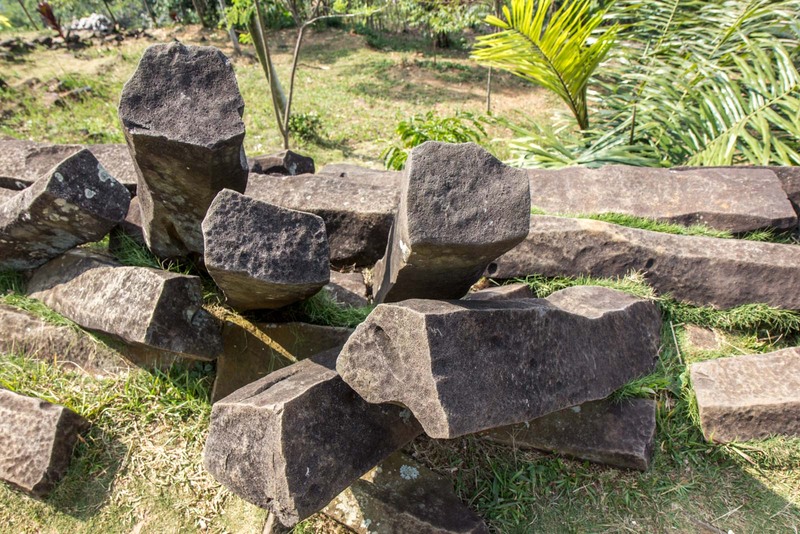 Each piece is solid rock and was forged by a volcano in a time long ago. Man simply transported and arranged them to create whatever once stood here on this peak. 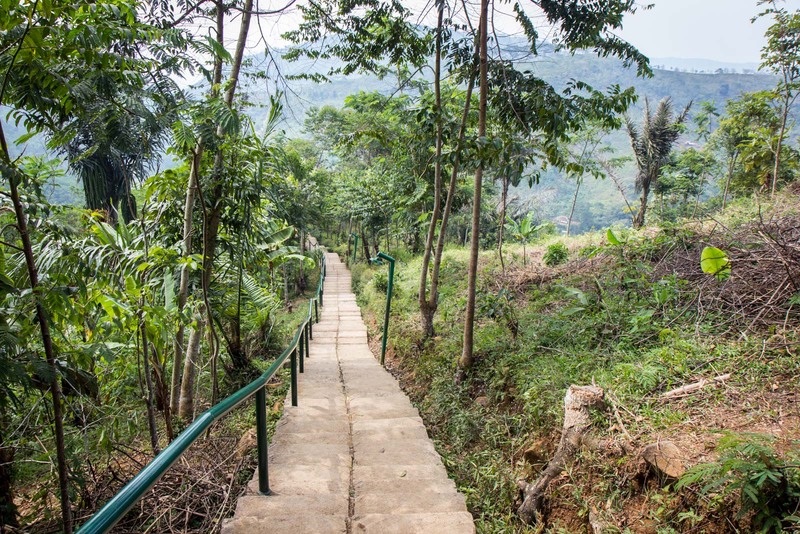 Technically, there are five levels of terraces here at the top of the mountain – but they are divided into two main areas. An Indonesian man who is doing some volunteer work here at the site sits down next to me and starts to chat. He tells me that the rocks give off energy. It’s all to do with a special magnetism, he tries to explain. I don’t quite understand but I try to sense whether there is some power coming from them. I’m certainly impressed when he leads me over to two special long rocks and shows me how they make musical sounds when you hit them in the right place. The second part of Gunung Padang is much larger and is made up of several shallow terraces, each built slightly higher than the other. It’s probably fair to assume that if this was a religious site, the levels represent ascending authority. The rocks here, just like below, are strewn around relatively haphazardly but it’s possible to guess where they may have been used as columns or laid horizontally to construct buildings and altars. There’s a lot of activity here, the quiet reflective atmosphere of the lower section replaced by groups of workers. 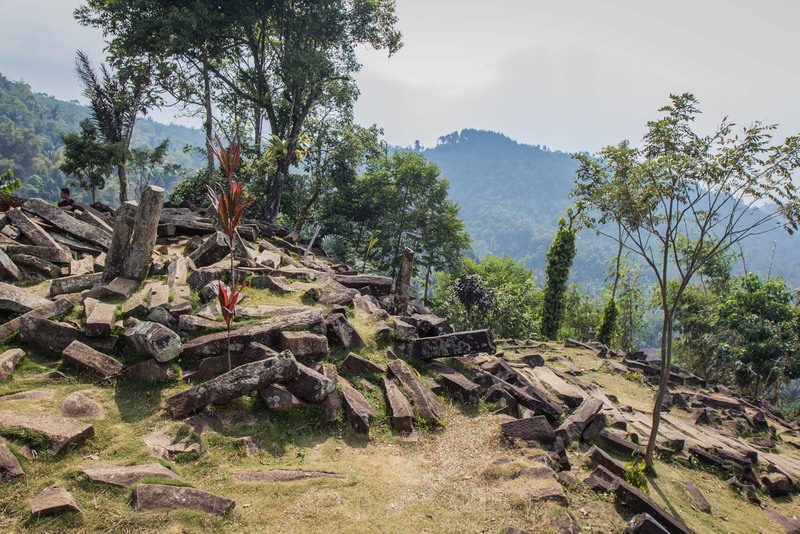 It’s on the upper terraces that the intense research into the story of Gunung Padang is taking place. And the quest to find the truth is anything but peaceful, with a furious differing of views and a complicated mix of politics, money and national pride at stake. At the heart of it is a theory about what is below the surface. Some archaeologists believe that the mountain itself was built by humans. They say that it was an enormous tomb, constructed with volcanic rocks over centuries by many generations. They claim they have evidence from tests that humans may have built it up to 20,000 years ago. If correct, this would obviously make it more than 10,000 years older than the Egyptian pyramids. It would be one of the most incredible historical discoveries of our time. 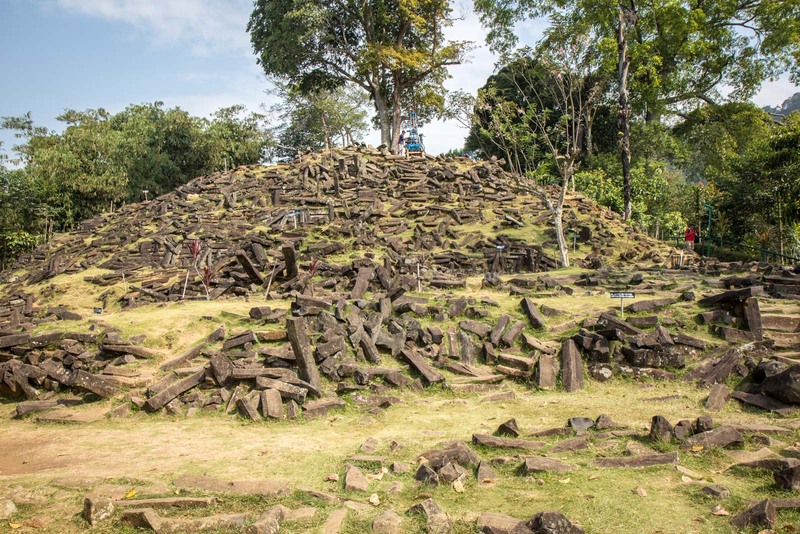 With such a potentially world-changing archaeological site on Indonesian soil, the national government has thrown an enormous amount of support behind the research effort over recent years. 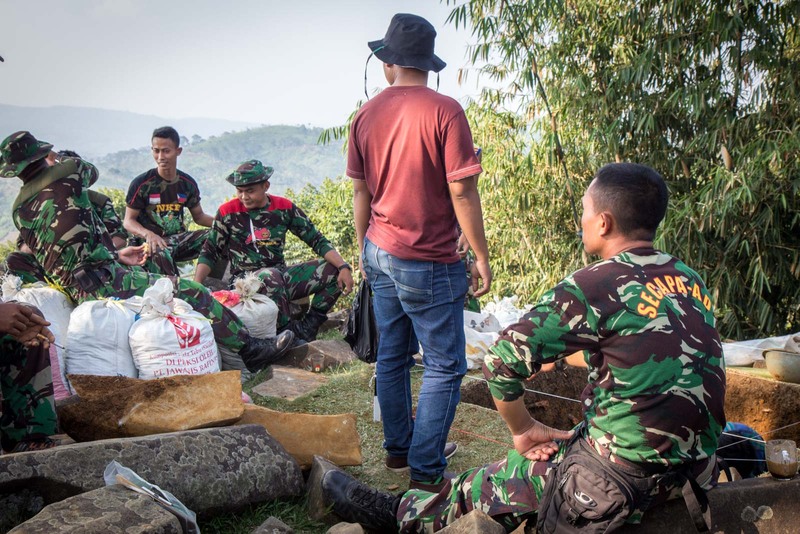 Most of the workers here at Gunung Padang today are, in fact, members of the Indonesian military who have been called up for a different kind of duty. They are doing the hard labour under supervision from scientific experts. 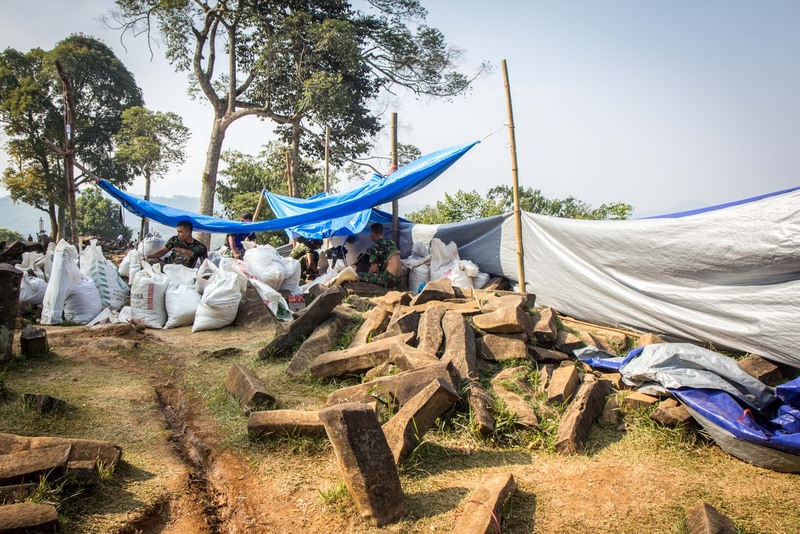 There is also reportedly an unlimited amount of funding coming from the government and a special helipad has been built on the top of the mountain for presidential visits. 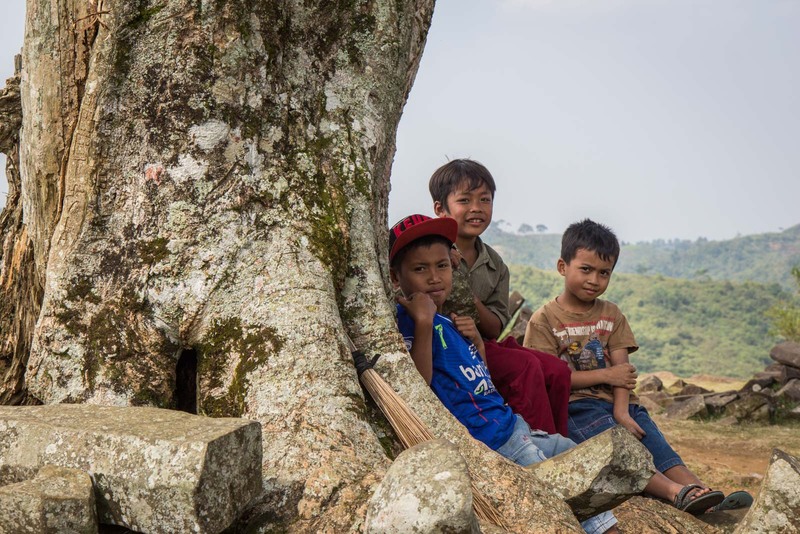 However, despite the insistence of certain experts and the hopes of the Indonesian government, there are a large number of academics who think it’s simply impossible that Gunung Padang was built 20,000 years ago. Firstly, they say the evidence isn’t good enough and there are alternative reasons for why some of the tests have come up with such old dates. But, also, they think it is just illogical to believe that a civilisation could build such an enormous structure but leave no other signs of their existence. One expert, I read, makes the good point that there’s evidence people just 40 kilometres away were using tools made of bone during that period. That seems odd if there was a large advance civilisation just around the corner. I get talking to one of the archaeologists with good English. He’s busy measuring and photographing some items in a pit that the Indonesian army guys have just dug. He seems unconcerned by the controversy around the age of the mountain and is focused on his small task at hand. He points to a cluster of rocks arranged in a square shape at the top of one of the terraces. They look like they could be little walls. Maybe that was used as an altar, I suggest. Maybe, he replies. He doesn’t know either. When I ask about the age of the site, he suggests that maybe it was created about 1200BC. It’s important to remember that, regardless of the truth, this is still a significant monument and a sign of an ancient people who were active in architecture and construction in a way that was ahead of the rest of the archipelago. 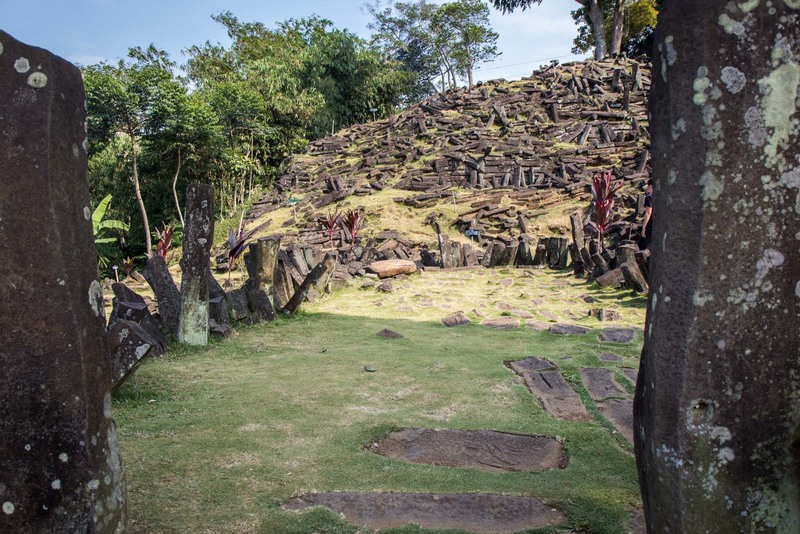 It is undeniably the largest megalithic structure in South East Asia. Although he knows a lot about the site, this researcher – like all the others – is no better placed than me to say exactly how this site might once have looked and who built it. The clues are here somewhere, though. 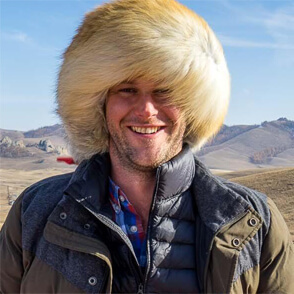 Could be a very old site take example of Gobi Tepe in Turkey there is still a lot we don’t know about ancient times…..
Yeah – exactly! We think we know most things about the ancient world but actually we don’t. There could be whole civilisations that have been lost. Having said that, there is often some indication that they existed and it’s odd that this would be the only thing these people would leave behind if they were really that advanced. You have to remember that anything not made out of stone or bone would be gone. If you took a jeep and left it out for 20,000 years it would be completely gone. Take into account the effects of ice and floods from the iceage and it’s no mystery as why we find very little evidence of our ancient past. I guess that’s true, but there are still certain things that would point towards an ancient civilisation. I guess that is the point of the doubters – that one mountain has so much evidence and then there is nothing at all in the whole area around it. But you’re right that so much evidence is just lost in time which makes it very hard to know anything for sure. I actually came to this website after watching a Joe Rogan podcast with people who are interested in this megalithic site because they believe that there is a lost civilization that was far more advanced than previously thought. They think that either a meteor or a sun burst wiped out almost everything and we had to begin again. People from several different disciplines give credence to these theories, including geologist, archaeologist’s, and some people who study ancient weather. The podcasts are with John Anthony West, Randall Carlson, and Graham Hancock. It was interesting to hear that some of these guys believe that this is the reason for the flood stories in all the worlds religions too…seems plausible. Great and insightful post! Very interesting. Wonder how they got those rocks up there! Not really related but… how do you feel about the government here telling Australians to boycott travelling to Indonesia because of the executions that are due to take place soon? Interesting question. I don’t support the boycott at all. I think it’s the wrong attitude to take to this issue. I also have a real problem with the way the whole thing is being approached. I don’t support the death penalty at all and I’m glad there’s a campaign for clemency for these two Bali 9 members. But I also think, if you have an opposition to the death penalty, it should apply to everyone. There’s a parochial hypocrisy to only campaign to save Australian lives. Why aren’t these same campaigners also threatening to boycott the US or the other 21 countries that executed people last year? What a mysterious place. It’ll be interesting to learn more about this place as excavations are done. I can’t wait to see if they ever get any firm answers. It’s fascinating. What a fascinating site. It will be interesting to see how this unfolds over the decades. I hope it doesn’t take decades – although this kind of thing could take a long time. I’m sure some of the experts are hoping to get some firm evidence of something pretty soon! Ah, very useful – thanks for sending that through!! There’s a lot of information about the structure in Graham Hancock’s book – Magicians of the Gods – (Don’t be put off by the tile, it’s well researched and scientific). There’s no sign of an old civilization because it was located on the Sundaland plain which is now under 100 metres of water since the end of the Younger Dryas ice age around 9 600 BCE. I’m not sure. A good question – but I’ve never heard of it. I’m going to have to do a little bit of research now. Thanks for the tip! Great article. I’ve been there too about a year before the excavation started. I found every stone has its own tiny mark on it (long circle-shaped/egg-shaped dent). What’s your opinion about it? That’s a really good question. Somebody mentioned that to me when I was there and I could see it myself. I assumed it was to do with the transportation/construction of the stones – perhaps a handhold or something like that. I’m not sure it adds any weight to the theory of the site’s age and what else could be beneath the mountain. But it certainly lends credibility to the idea that something was made by humans a long time ago. Hmmm gives me an idea for a TV show, an archaeologist with a time machine who also has a PhD (obviously) called Dr When? 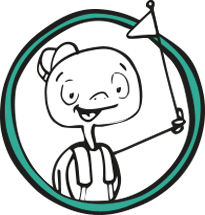 This project should be supported by all the funding it can be given until more exact data can be uncovered, and its purpose can be established…it could be an archeological mother-lode. I’m surprised it doesn’t get even more attention, to be honest. As you say, there is so much potential there! It could be nothing, it could be everything. Let’s at least get to the bottom of it and find out! A huge amount of the old paradigms and theories we once held onto so sacredly are being discarded because new evidence is coming to light ,that is totally irrefutable that man has been here much longer than previously thought and that there are signs of high technology being used by them. As with any cataclysm or exteinction level event any civilization left would start over. It’s not that big of a stretch to believe that people would reuse and rebuild these sites many times over the millennia. I’m an Aussie like yourself, Michael, and currently living in Mindanao, Philippines. To the best of my knowledge there are no comparable sites in the Philippines, but the Aeta tribe have lived in the Philippines for around 40,000 years. 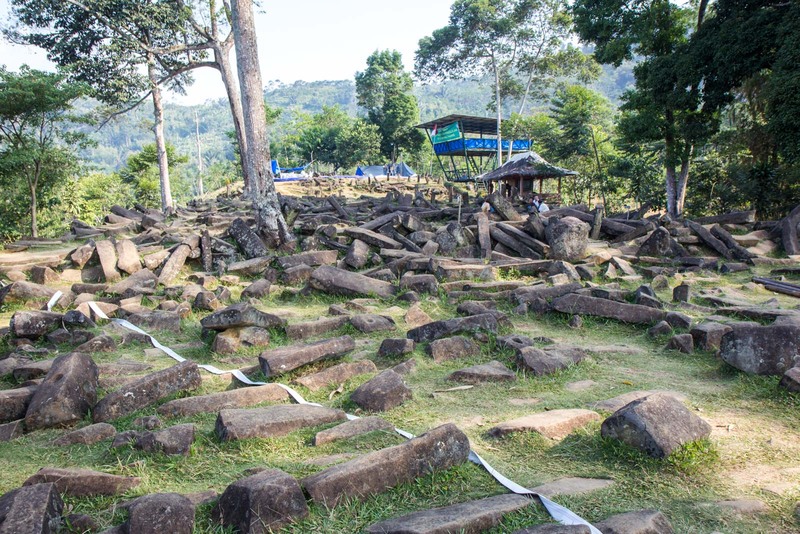 I had not heard of Gunang Padang before today, but have always had an interest in Megalithic sites and have long held the opinion that conventional archaeological chronology of human history is flawed. There is increasing evidence at many sites around the globe of massive construction in stone that pre-dates the conventionally-held hypotheses. Gobekli Tepe in Turkey is probably the most famous. While archaeologists insist people were still hunter-gatherers with no towns, no farming or domestic animals, and no organised religions, at a number of sites around the globe large numbers of people were involved in the production of buildings which were only thought possible thousands of years later. There is also increasing geological evidence of rapid sea level rise at the end of the last Ice Age, where potentially many areas of land were inundated over as little as 20 years and any evidence of civilization is now under water. This is a little off-topic, but when I lived in Australia, the hill near my home was called Munibung in the language of the Awabakal people. Australian indigenous languages are from the same Austronesian language group as Bahasa Indonesia, Tagalog, Cebuano, and other Filipino languages. Note the “-ung” in the words, and the common usage of “ng” at both the start and end of words. There is every likelihood of a common ancestral language for the peoples of the region including the Philippines, Malaysia, Indonesia and Australia. I also wanted to mention that the Awabakal people have a Dreamtime story that says that people from the tribe stood on the top of Munibung and watched Lake Macquarie form. The lake is called “Awaba” (“flat water”) in their language and is the largest saltwater coastal lake in the southern Hemisphere. Geologists believe it formed somewhere around the end of the Ice Age. Similar stories of inundation happening quickly can be found among other tribes in Australia. The point of mentioning this is that so much has likely been lost underwater. Graham is absolutely correct. We are being deceived on a major scale. The prudent question would be, why? Incredible architects with out-of-this-world knowledge and capabilities built edifices with mind-blowing precision and cut through some of the hardest stone known to man, as though they were cutting through butter. Moreover, these incredible beings managed to transport and put in place single blocks of stone weighing up to 1200 tonnes, a feat which, despite our supposed advanced technology cannot be carried out today! Mainstream archaeology is absolute nonsense and fit only for the cerebrally challenged, which, sadly, appears to make up the majority. I recommend anybody to look up Brien Foerster! We only think that we are the greatest generation because it is an evolution or improvement of our ancestors. we forget that they are also great beings, which we might not inherit because of the missing part of evolution.